For those with poor command of Mandarin (myself included), travelling to a country that uses Mandarin as their first language is a daunting thought. I had a rather tough time in China and not too long ago, Taiwan. The latter was actually more difficult because not many of the Taiwanese spoke English, and most of the signage and menu were in Chinese. It was very intimidating, especially since rif does not speak or understand even a smattering of mandarin. But he has a very good nose and sight for good food. 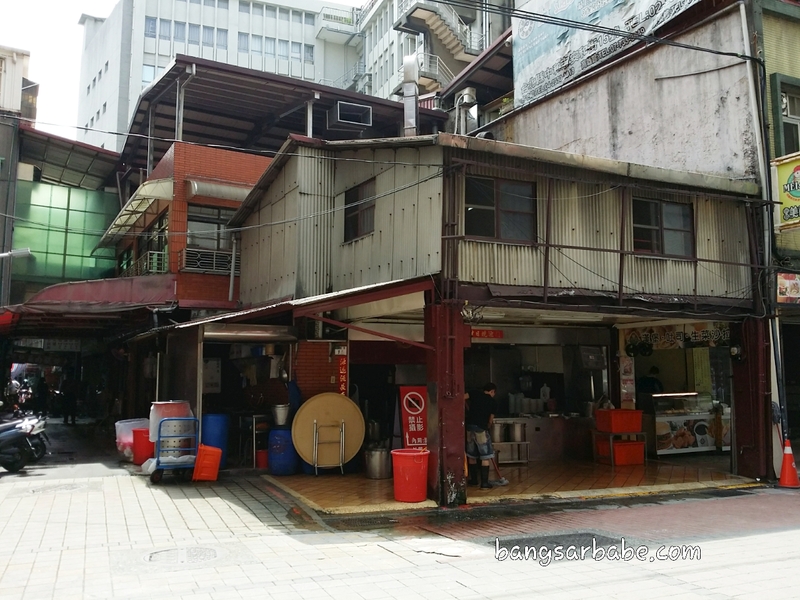 During our second day in Taipei, we discovered the best beef noodles we’ve eaten through his research, which lead us to a street called Tao Yuan. We were wandering aimlessly on that street, unsure of which beef noodle shop was the right one. 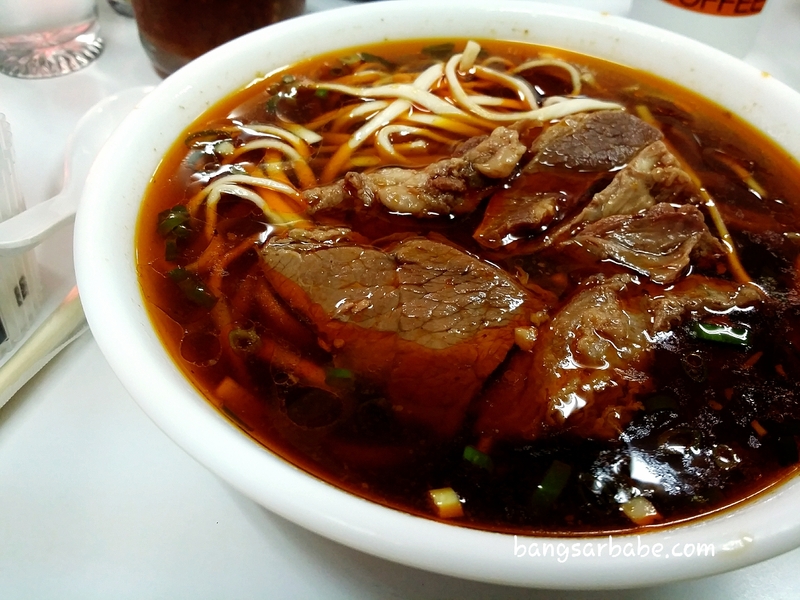 There were about three shops selling beef noodles, all similar looking with a heady scent of broth laced with star anise, chillies and beef. 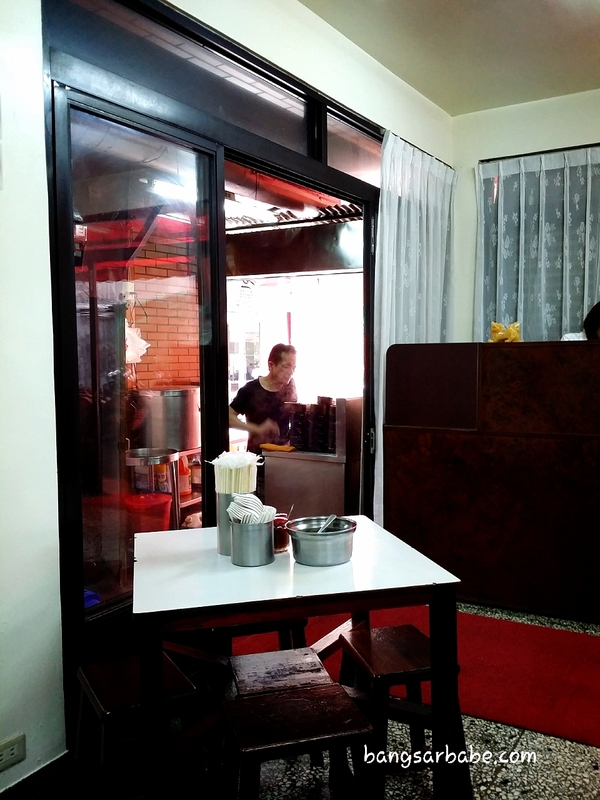 A kind local pointed me to the right shop, citing this shop with no name serves the best beef noodles in Taipei. The other two shops had prominent signage, especially the one opposite Lao Wang. The shop doesn’t have a signboard, unlike its competitor next door and across the road. 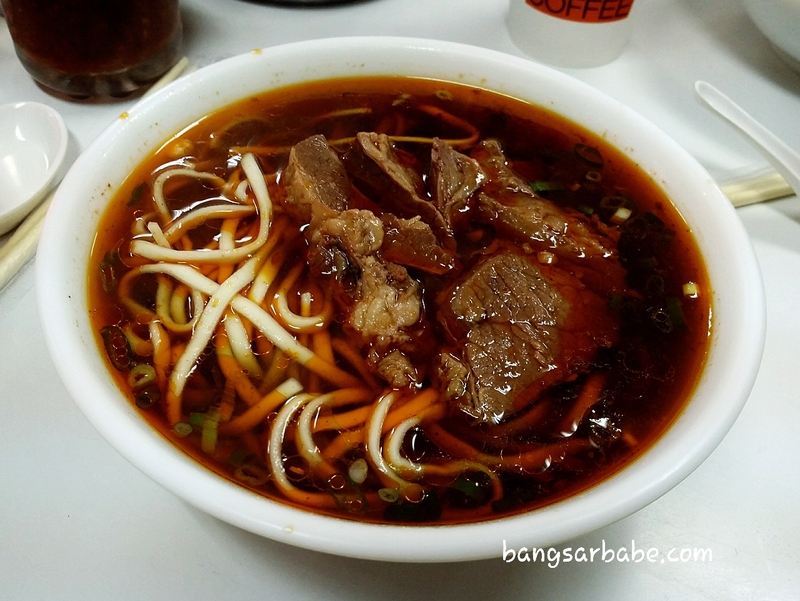 There is even a “no photography” sign outside so that’s your clue to good beef noodles if you’re planning to try this in Taipei. You really should. 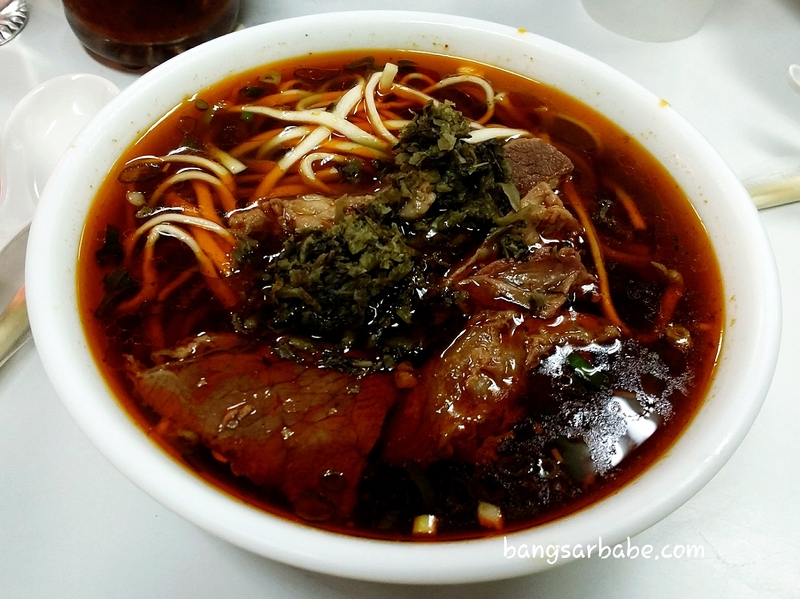 There are two types of broth – hong shao (red braised) and qing tang (clear); the red one seems more popular among the crowd. The pulled noodles were perfectly springy and the broth was packed with flavour and aroma. It was spicy, richly beefy and tangy from the addition of preserved vegetables. 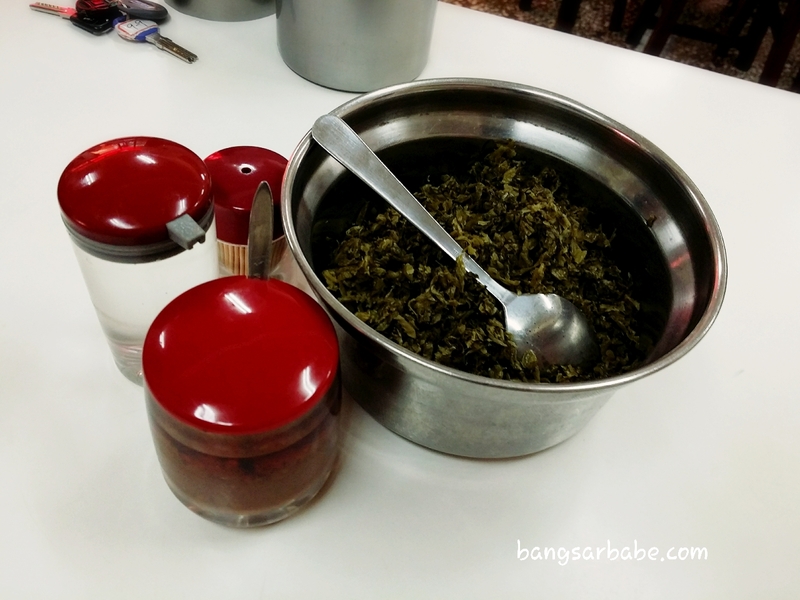 For more bite, help yourself to the bowl of preserved mustard greens on the table. It gives the broth a savoury-tangy flavour and adds crunch to the noodles. The beef slices were deliciously tender and required minimal chew. It was so good that Ken ordered a bowl of just spicy beef broth and beef slices. 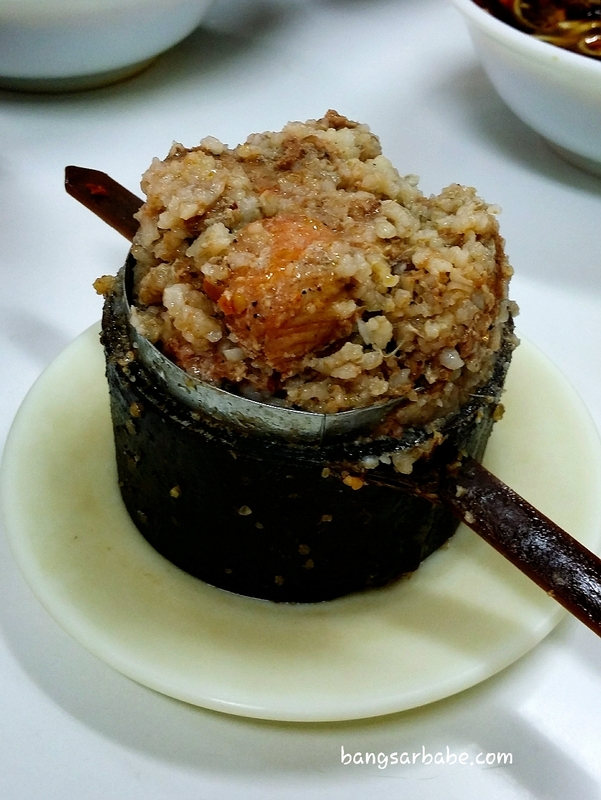 They are also known for the bamboo steamed glutinous rice with pork ribs which wasn’t quite my thing. The rice was soft and fluffy, while the ribs were falling off the bone. 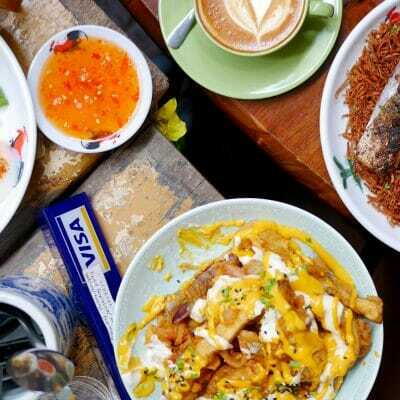 Both rif and Ken liked this to the extent of ordering another portion. Verdict: Best (Taiwanese) beef noodles I’ve eaten.